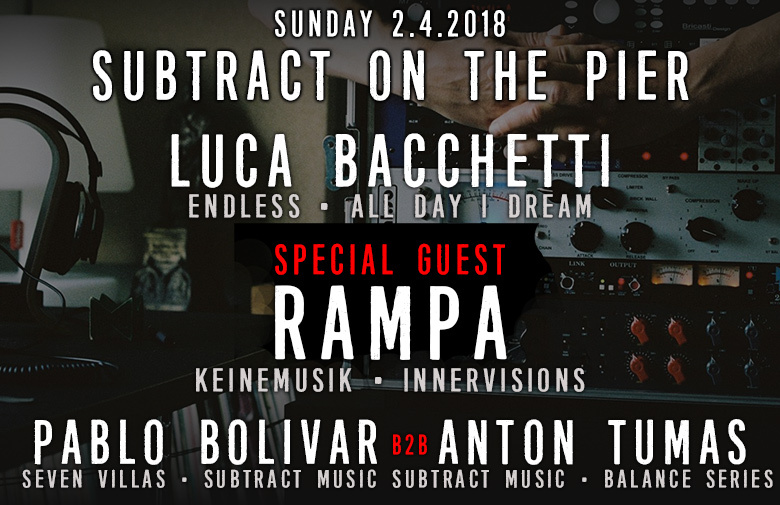 2018 Season Opener on the pier, with Luca Bacchetti, special guest Rampa and Pablo Bolivar! They are responsible for producing some of the best techno and house in the recent years, and are amazing DJs to boot! Supporting set by Anton Tumas.